Scores 21 Highway MPG and 15 City MPG! This Ram 1500 boasts a Regular Unleaded V-8 5.7 L/345 engine powering this Automatic transmission. WHEELS: 18 X… 8 PREMIUM PAINT CAST, TRANSMISSION: 8-SPEED AUTOMATIC (8HP75), TRAILER TOW GROUP -inc: Power Black Trailer Tow Mirrors, Trailer Brake Control, Trailer Tow Mirrors, Class IV Receiver Hitch, Exterior Mirrors Courtesy Lamps, Exterior Mirrors w/Supplemental Signals. 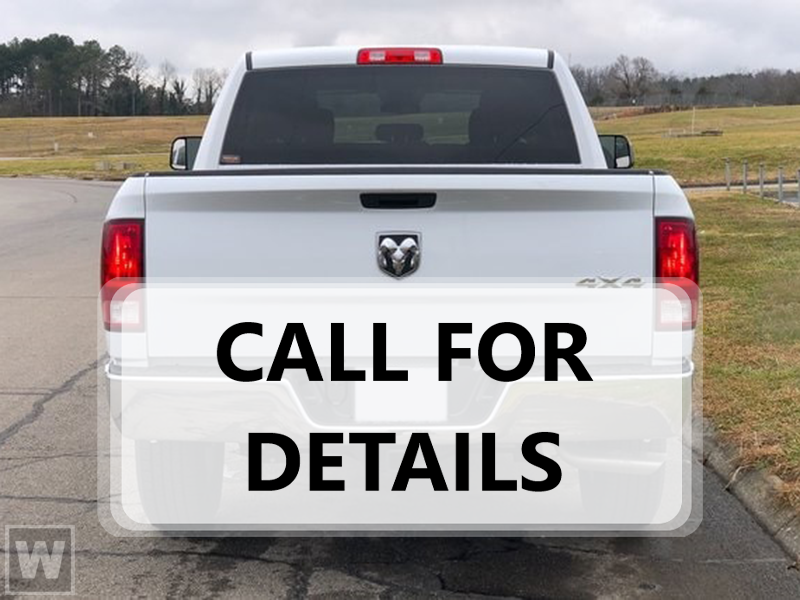 *This Ram 1500 Comes Equipped with These Options *QUICK ORDER PACKAGE 25A TRADESMAN -inc: Engine: 5.7L V8 HEMI MDS VVT, Transmission: 8-Speed Automatic (8HP75) , TRAILER BRAKE CONTROL, TRADESMAN LEVEL 1 EQUIPMENT GROUP -inc: Rear Power Sliding Window, Carpet Floor Covering, For More Info, Call 800-643-2112, Front & Rear Floor Mats, 1-Year SiriusXM Radio Service, SiriusXM Satellite Radio, TIRES: 275/65R18 BSW ALL SEASON (STD), MAXIMUM STEEL METALLIC CLEARCOAT, GVWR: 7,100 LBS, FRONT & REAR RUBBER FLOOR MATS, ENGINE: 5.7L V8 HEMI MDS VVT -inc: HEMI badge, GVWR: 7,100 lbs, Heavy Duty Engine Cooling, 26 Gallon Fuel Tank, Active Noise Control System, CLASS IV RECEIVER HITCH, CHROME APPEARANCE GROUP -inc: Grille Chrome Outline 1 Texture 1, Bright Rear Bumper, Bright Front Bumper, Wheels: 18 x 8 Premium Paint Cast. * Stop By Today *Come in for a quick visit at Larry H Miller Chrysler Dodge Jeep Boise, 222 Auto Dr, Boise, ID 83709 to claim your Ram 1500!